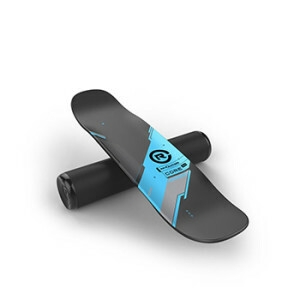 Best Balance Boards Reviews Buy the best balance boards and attain perfect body balance, strong muscles, and better concentration in an inexpensive way. Though the main function of balance boards is to train and improve your balance, the best balance boards will offer you a number of other functions and options that will generally improve the coordination of your body and your mind. Being a very simple structure, balance boards come with very inexpensive prices, hence making it possible for literally everyone to acquire them. Balance boards are the best way of training the core, meaning the series of muscles that are responsible for the stabilization of the body’s trunk area when moving. They are a perfect fit for everyone, whether you are a professional athlete or an ordinary sport enthusiast. They are especially good for the elderly. Balance boards can be of different shapes and sizes, hence their classification into five various types. Below is a table informing you of the nature of all five types, their advantages and disadvantages. Our goal is to you help decide which one corresponds to your needs and will be the best fit for you. 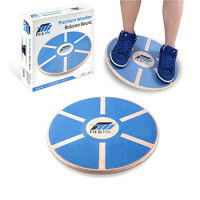 Standing on a wobble boards, you can do a number of different exercises, besides the main one which is standing on it and keeping your balance. The others include push-ups, squats and sit-ups. These boards offer different degrees of movement, such as twisting, banking or left-right tilting and sliding. 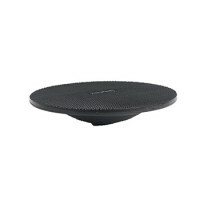 For further exercise abilities, some wobble boards come with a stretch band used for pulling your hands up and down. 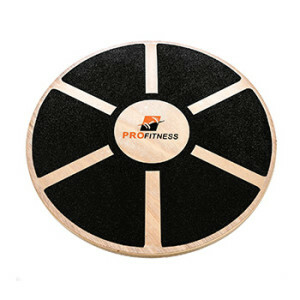 There are wobble boards made of plastic as well as wood, the latter being a more durable option but generally meant for gym usage. 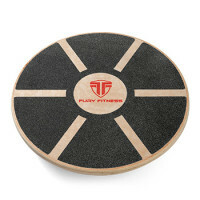 This is the most basic and easiest to control type of balance board. It resembles a flat board with a fulcrum below it, which can be either perpendicular to the length of the board or be made of two rockers standing parallel to each other. You can tilt from side to side, trying to keep your balance and continuing rocking the board. As to the degree of movement, rocker boards offer only one kind, the part rotation on the longitude axis, in other words banking or left-right tilting. These boards are normally made by toy or gym equipment manufacturers. Roller boards come in rectangular or oval shapes, the bottom of which is a cylinder or roller. They can enable movements in two directions – front to back or side-to-side. One thing to mention about roller boards is that when you lean over, or in case you lose your balance, the board will move on the roller thus changing its balancing point. This is the challenging thing about roller boards. If you are a surfer, wake boarder or a water skier, then these boards would be a great training for you. These are foam pads with an unstable surface. They are very low-tech tools, but still have a high-quality performance factor. You can put your one foot on them, sit, kneel or lie on them, whichever is your preference. Balance pads are comparatively less expensive, even though all balance boards are not expensive to begin with. A large variety of exercises can be done on a balance pad. Balance discs resemble balance pads in many ways, yet they are filled with air, which makes the feeling of being on them and training a little different. You can sit, kneel or lie, as well as put one foot or two on them. 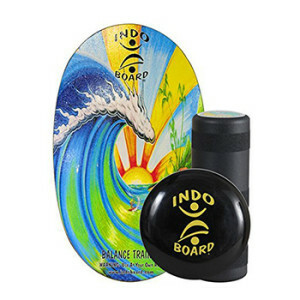 Balance discs can be inflated and deflated. This type is the least expensive option, but it does not make it less effective for use in exercising. Balance boards will help your brain improve its communication with the rest of your body, in terms of positioning and balance, also known as “proprioception”. Exercising on a balance board will improve your neuromuscular coordination and whole body awareness better, which will result in faster reaction skills and more flexibility. You’ll be quick and nimble, with more power, and be able to invest the maximum of effort in whatever you do. When you exercise on a balance board, you destabilize your body, forcing your muscles all over to be responsible for stabilization. Your core and lower body, including legs and joints, get involved in all the intensive exercises. With a balance board you can achieve a higher level of concentration and focus your mind better. The result will be a well-developed sense of posture and balance, gained due to the training with the board. You will not only get better focus and attention abilities, but also have improved speech and verbal comprehension. With such great concentration, problem solving becomes easier, as well. Exercising on a balance board daily will give you another level of stability in your trunk muscles and pelvic girdle. Hip stabilization, another advantage, is especially good for dancers and gymnasts, but it is also recommended for people of all ages and abilities. As we age, our hip stability diminishes, but exercising on a balance board can give us the ability to regain them. You might not always be able to avoid ankle injuries during your everyday activities or when playing sports. Here is a good reason for the need of a balance board: regular exercises on a balance board will greatly reduce the possibility of having ankle sprains later. By strengthening all of your muscles, especially around your joints, you will incur less injuries. You will be able to control your body balance better and quicker, thus avoiding things such as falling. 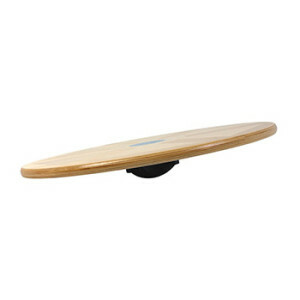 We can mention a number of features of a balance board that can be considered cool factors. A great number of them we have already discussed above. Another cool factor of balance board training is considered to be the prevention back pain, or reducing it by strengthening your core muscles. An additional cool factor is that because of exercising on a balance board, you may be able to avoid extra weight in your belly area which is a big problem especially for people over 30. 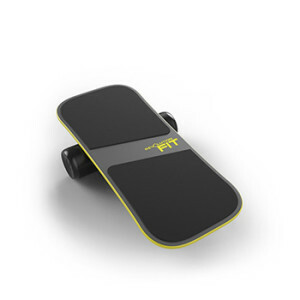 The core training, carried out by exercising on balance boards, will surely result in a fitter and healthier body. Due to the strength and good shape of your core muscles, you can be sure to reach whole body stabilization, making you stand and sit up straighter. Core stabilization, with the help of board balance training, can give you the healthy and upright posture you have always wanted. From all the advantages listed above, it is obvious that there is not a single reason not to buy a balance board and start training your mind and body right now. We even dare to say, that balance boards are another yoga option, that uses less time and money. So, once you have decided what exercises you need and what your primary issues are, expect to improve your body with a balance board. Just look through our list of balance board reviews and choose the best one for you. Stay healthy with a low-expense and efficient way of exercising! The total Reviews Bee rating sums up the overall picture of every product. Reviews Bee works tirelessly to ensure that we are providing the best product recommendations to you and your family. In rating the various balance boards available, we strive to give you the best information possible.Our algorithm includes information from both expert and consumer resources. There is no need to spend hours on researches, because Reviews Bee instantly gives all researches and analysis for you and creates a Top list to save your time and money. 2. We Analyze the Data Expert Popularity Score, Expert Ratings, Consumer Popularity Score, Consumer Ratings and Consumer Complaints are inserted into our algorithm in order to calculate our Reviews Bee Score. 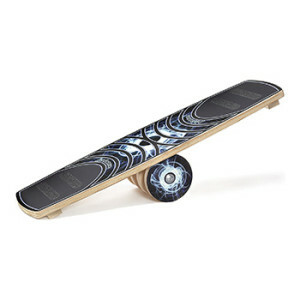 This score, in turn, is used to rank each balance board in our Top 10 recommendation. The Reviews Bee score is a summary of each of the most important factors indicating the value of a balance board. 3. We Deliver The Best Results By taking each of these essential factors into account, we are able to give each balance board an overall Reviews Bee Score that ranks each product against the others in our Top 10 list. By using a vast array of expert and consumer ratings, reviews, and feedback, Reviews Bee provides you with the most comprehensive analysis of product information available to you. You can make your purchase knowing that the best research was utilized to make your decision. We came up with the popularity score for every balance board provider while analyzing 25 expert sites that are trustworthy. 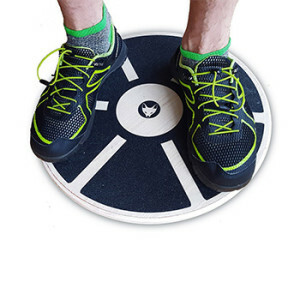 Based on our detailed evaluation, each balance board is assigned an expert popularity score based upon how many times each product is positively mentioned by experts in the industry. By analyzing all the expert review sites our algorithm summed up the average ranking for every balance board in their rankings and that is how we came up with the final score for each balance board brand. We managed to gather more than 4407 reviews from 68 reliable sources and our algorithm calculated the average score for each brand. In order to understand how satisfied those consumers were, we analyzed the total number of reviews. We collected all the reviews and the number of stars people gave for each product. Based on these findings we came up with the average customer rating. This is how we managed to bring out the balance board reviews through which you know how the consumer can rate the balance board. Through this, we show both sides of the product whether it’s positive or negative in nature. This then makes it a negative factor in our algorithm. This as a result makes the best balance boards reviews. That is why balance boards reviews not only have positive comments mentioned but also the negatives as well.